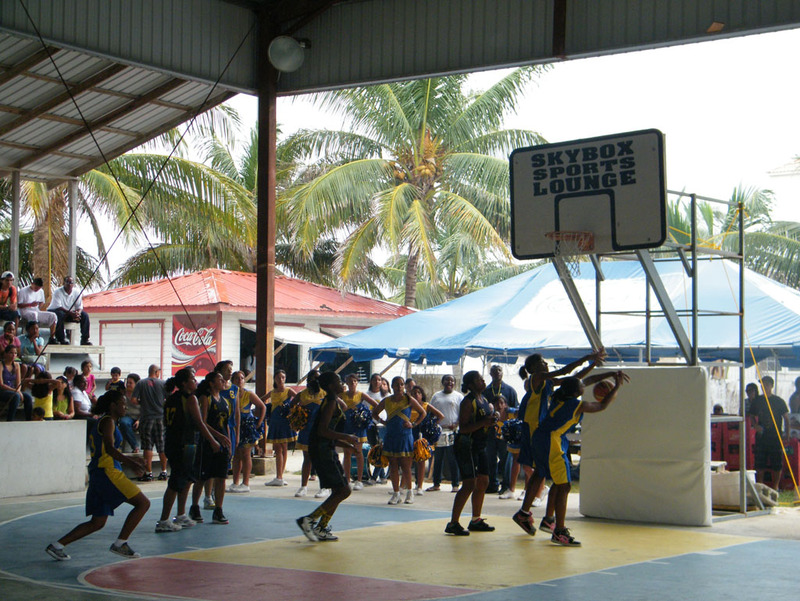 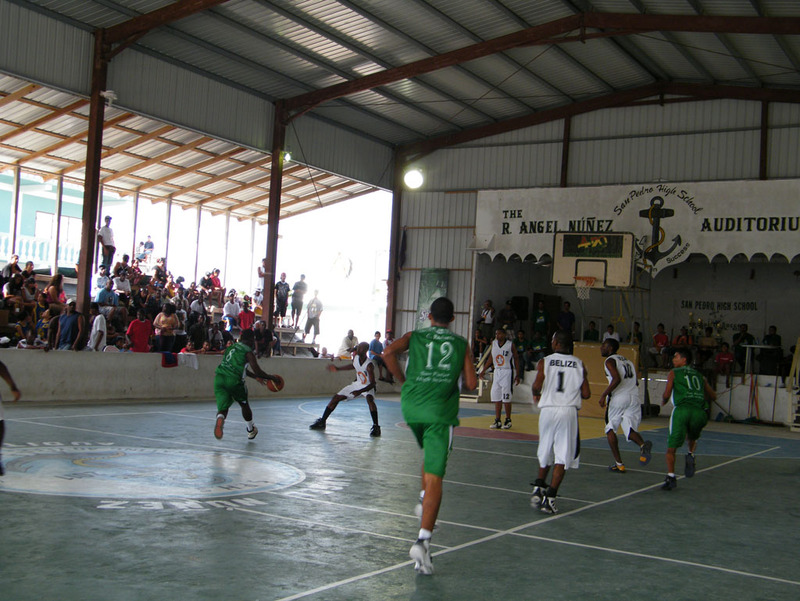 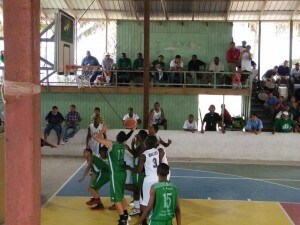 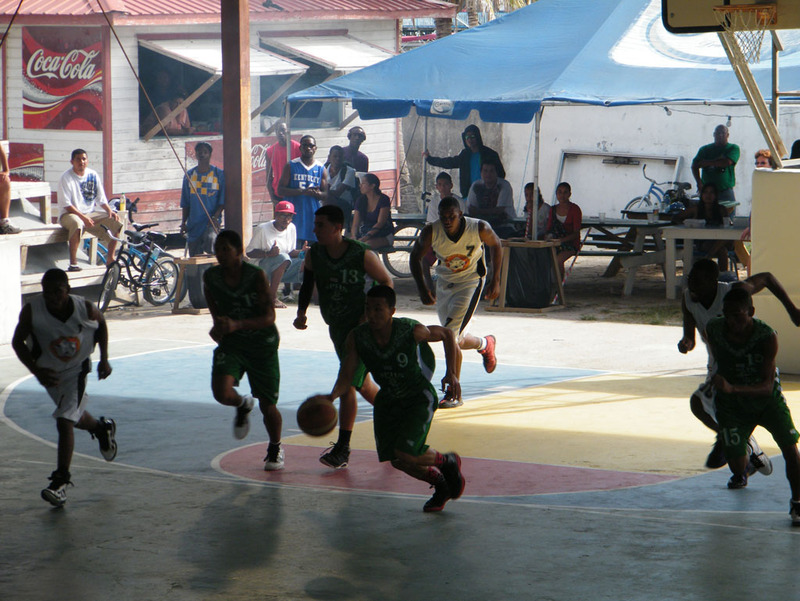 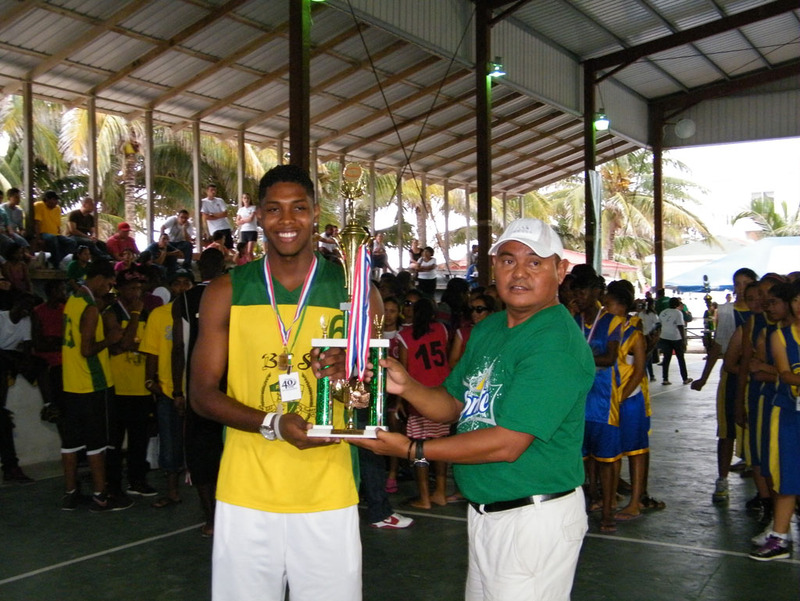 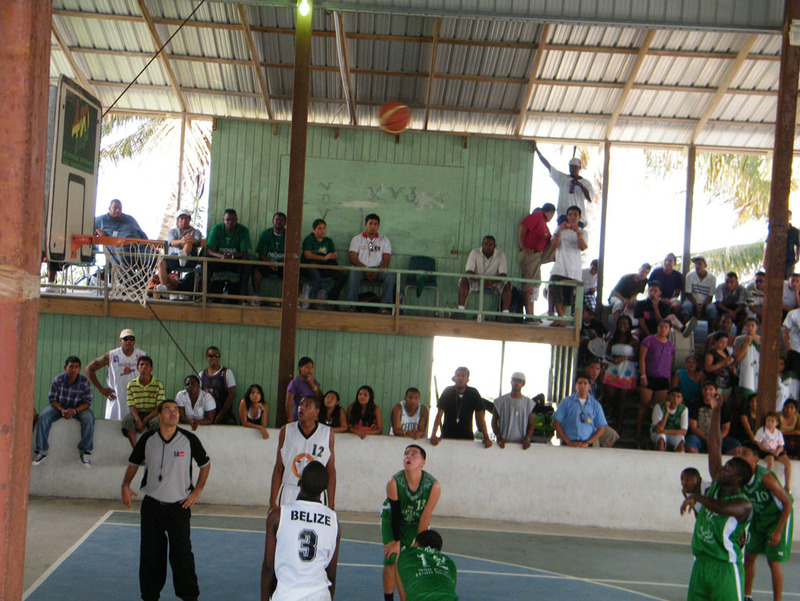 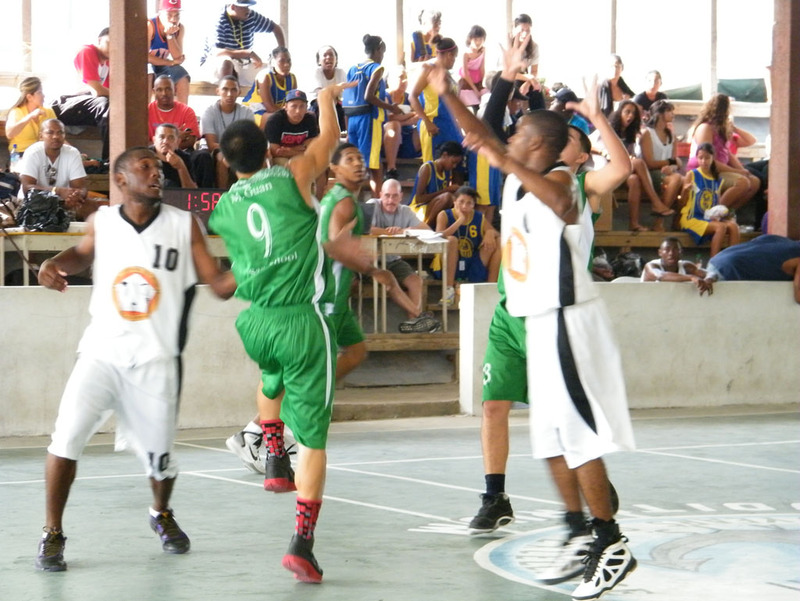 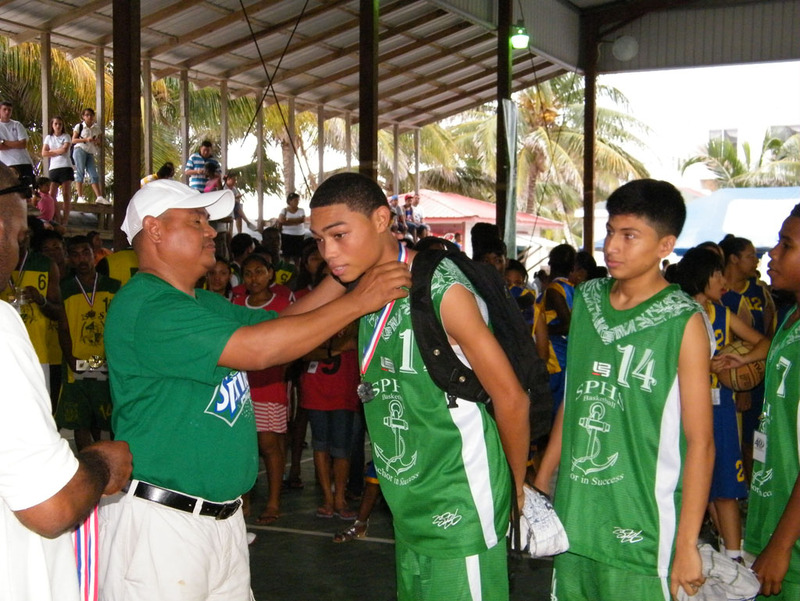 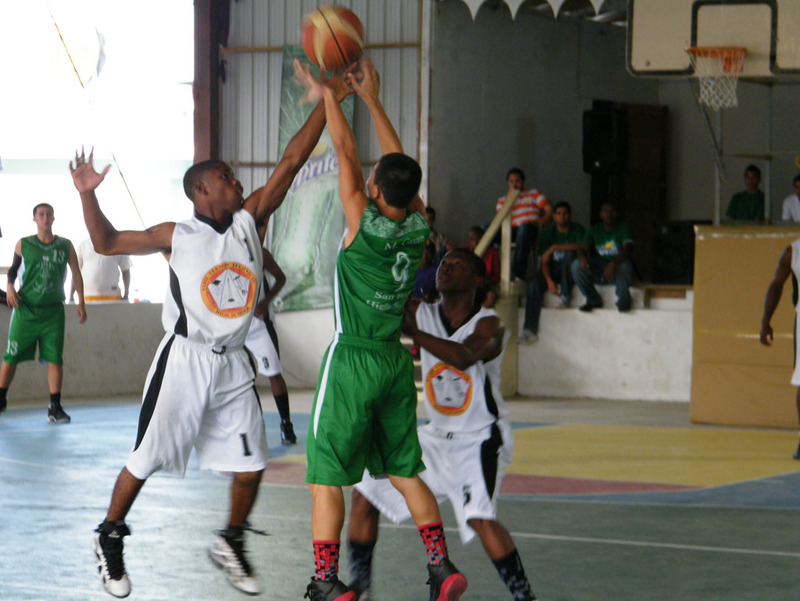 The National Secondary Schools Sports Association (NSSSA) Basketball Championships were held this past weekend in San Pedro. 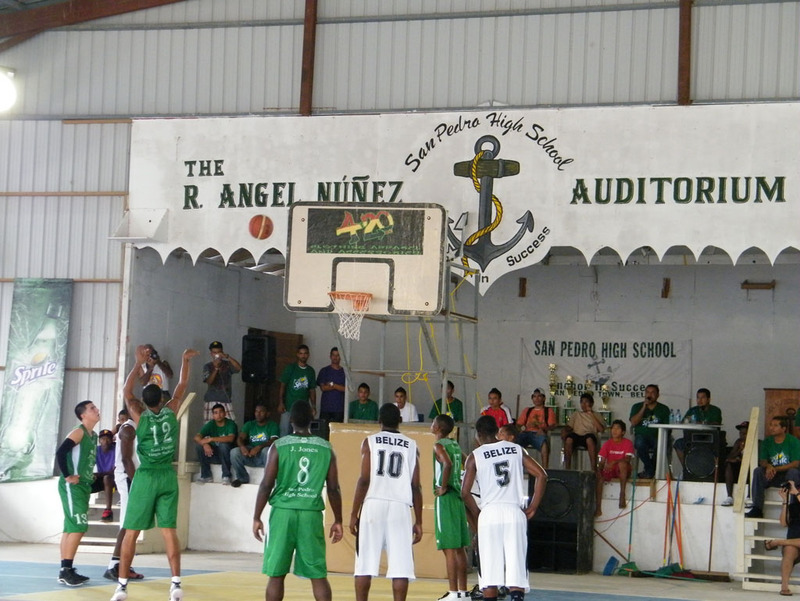 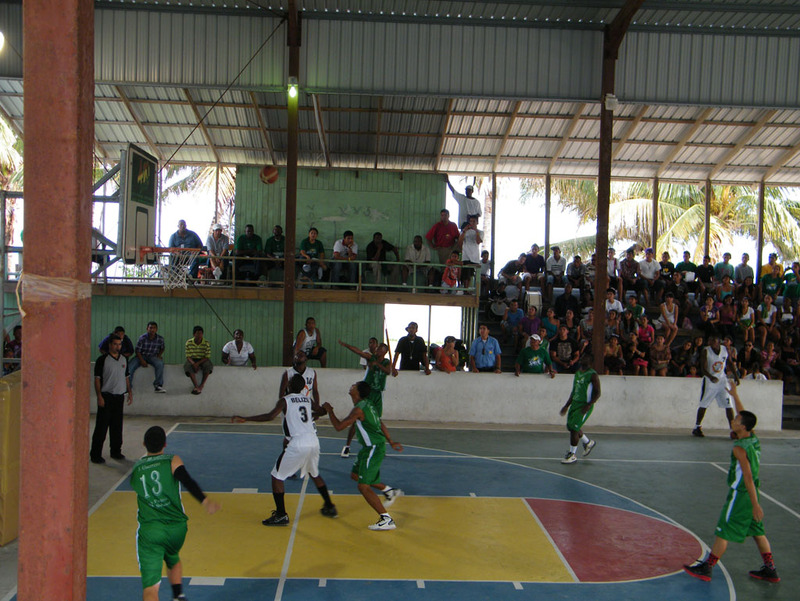 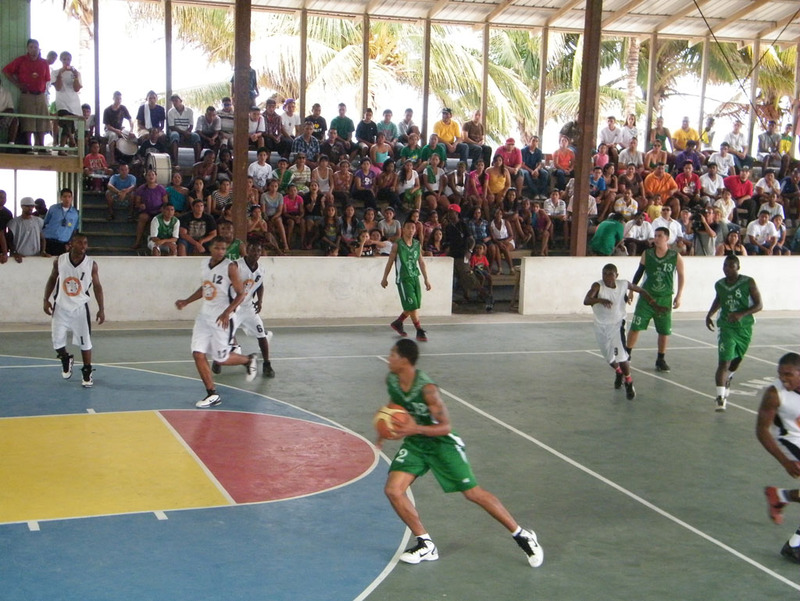 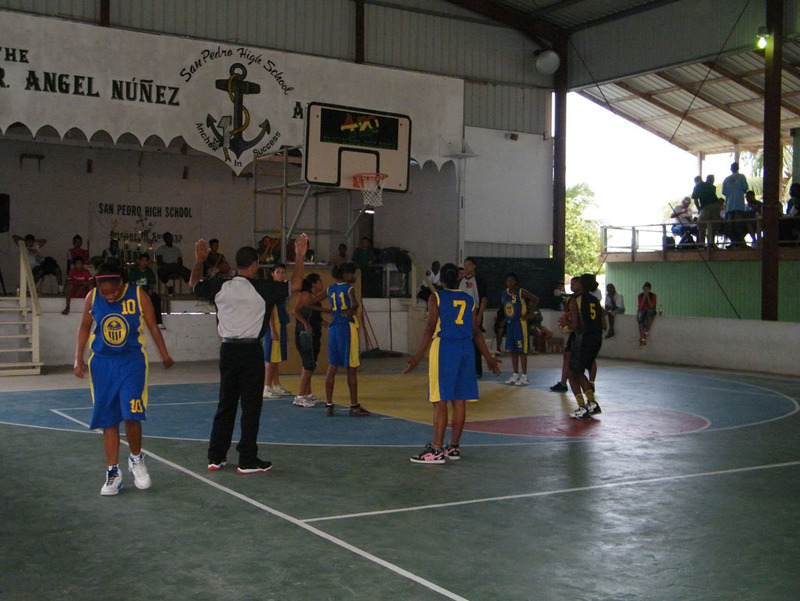 The championship games were hosted by the San Pedro High School and took place at the newly renovated, Rafael Angel Nuñez Auditorium. 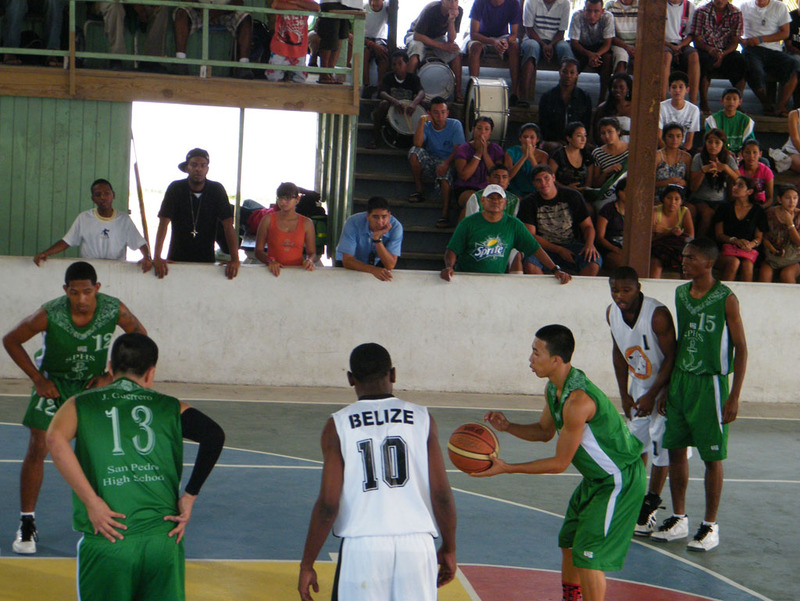 The games were played on Friday December 16th and Saturday December 17th. 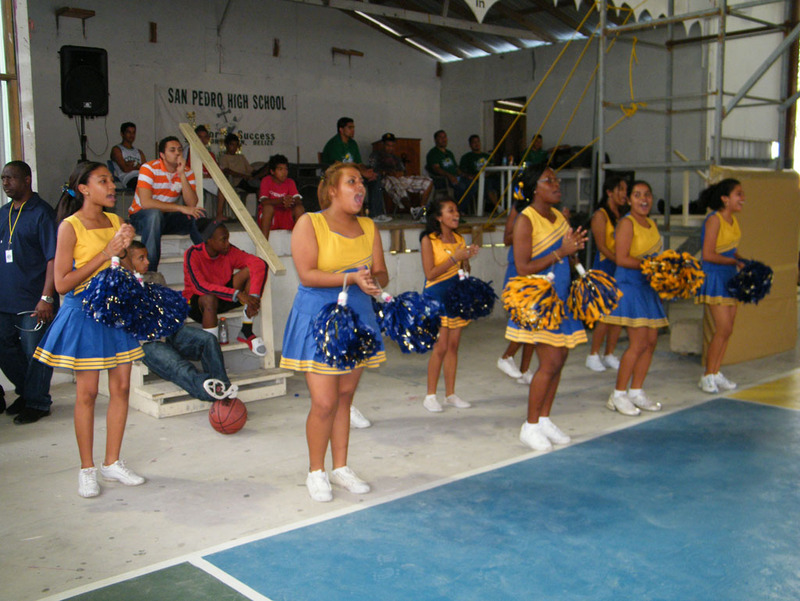 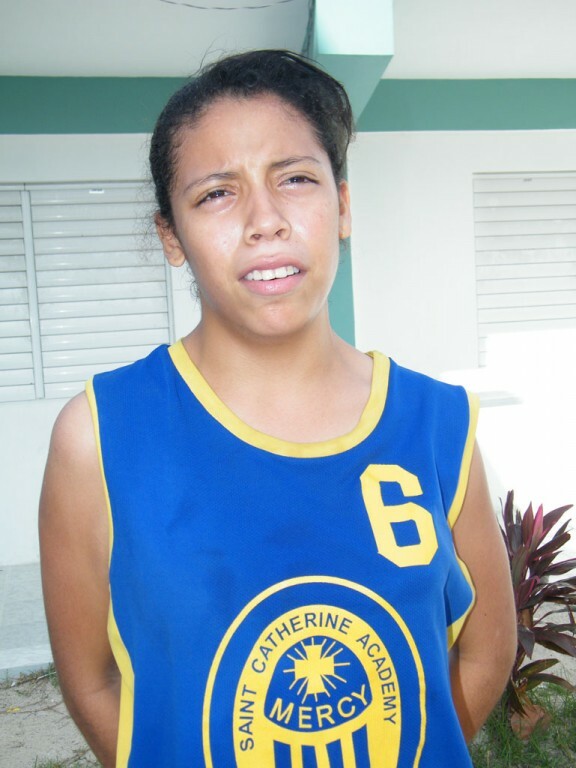 North Region- Male – San Pedro High School (SPHS), Female: Muffles College. 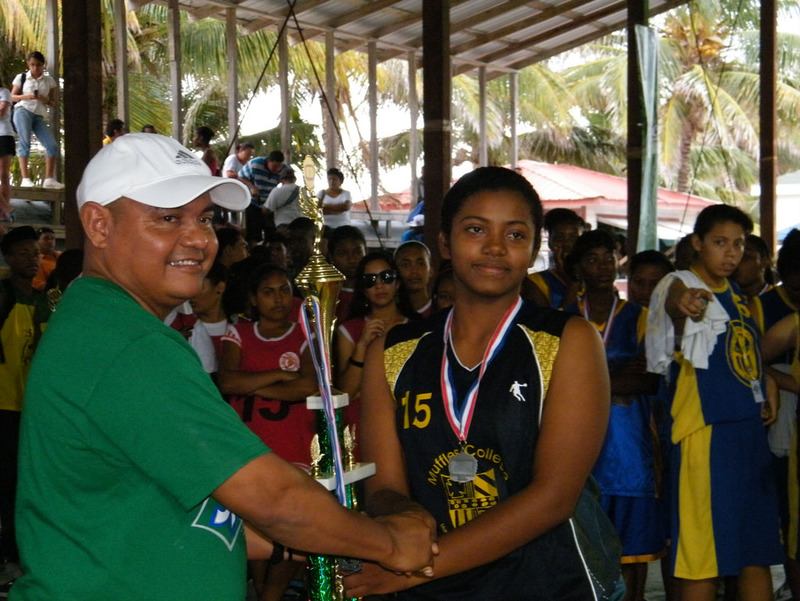 Central Region: Male – Sadie Vernon High School (SVHS), Female - Saint Catherine’s Academy (SCA). 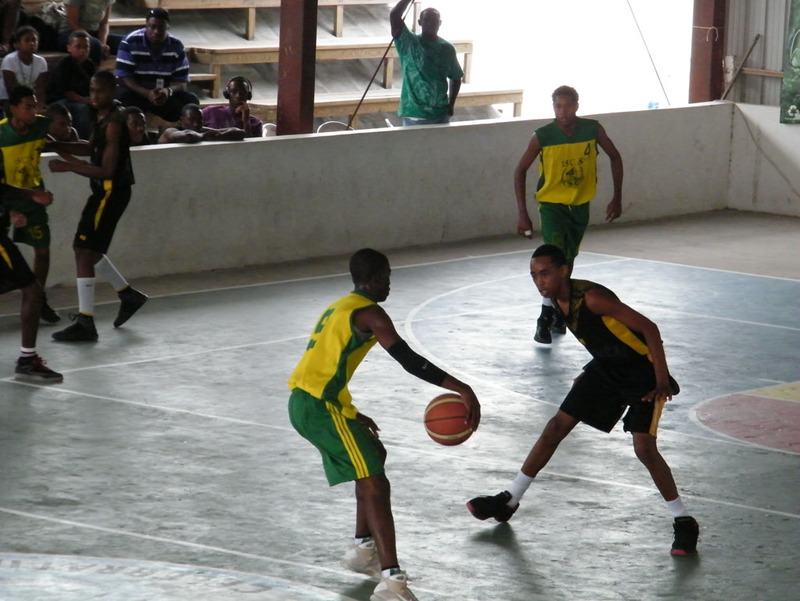 West Region: Male – Belmopan Comprehensive High School (BCS), Female – Sacred Heart College (SHC) South Region: Male – Stann Creek Ecuminical College (SCEC), Female – Delille Academy (DA). 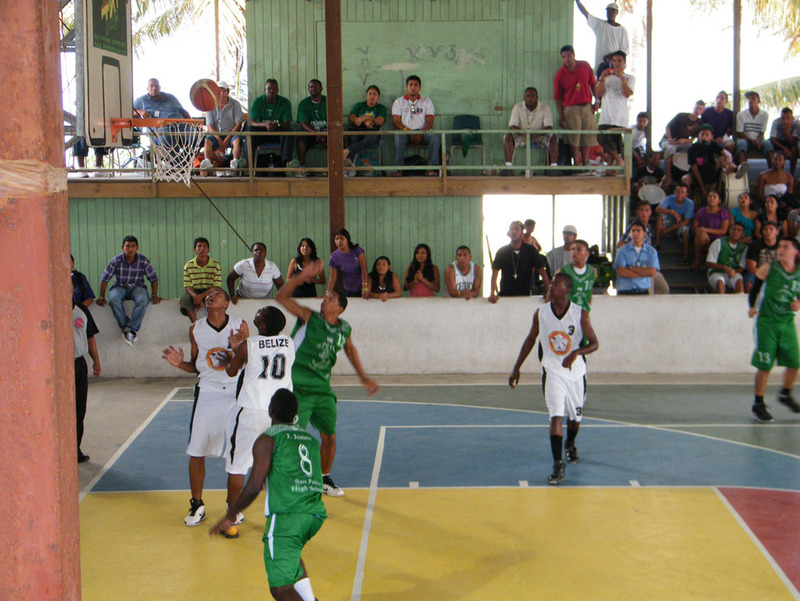 On Friday December 16th four games were played. 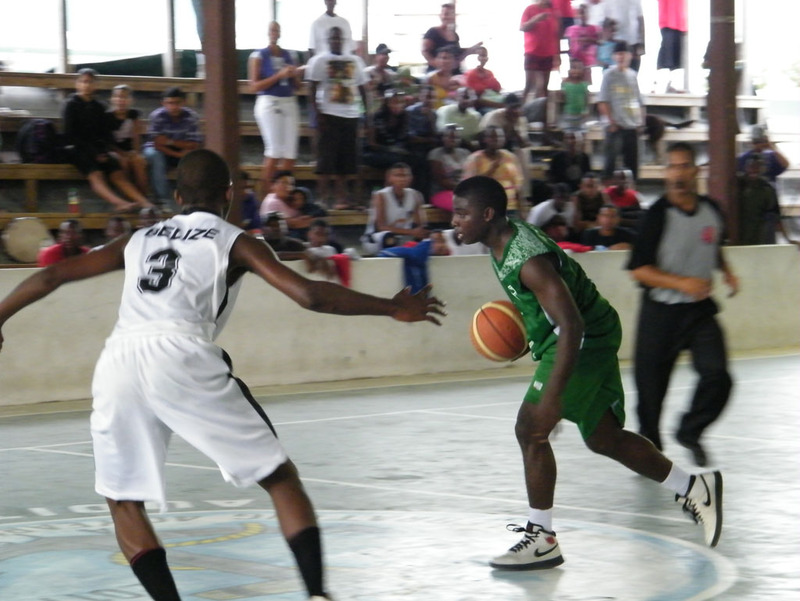 In the first game SCA defeated Delille in a score of 28 – 15. 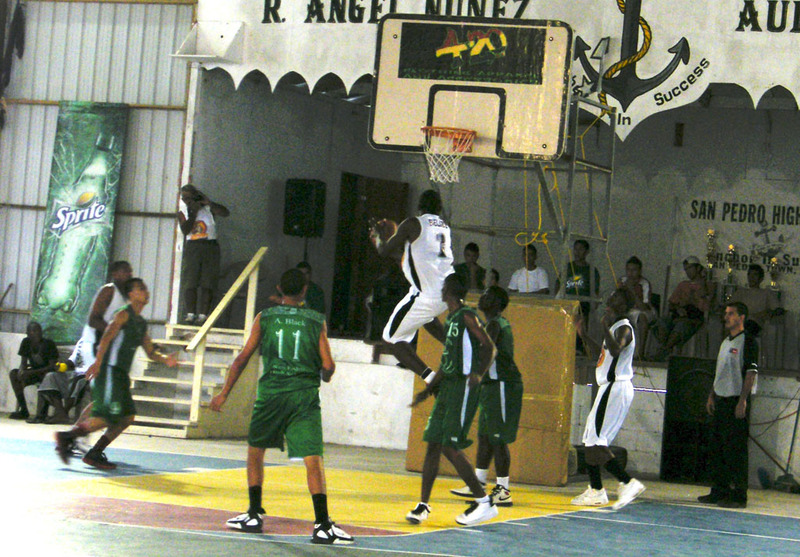 The second game saw SVHS defeating SCEC in a score of 77-38. 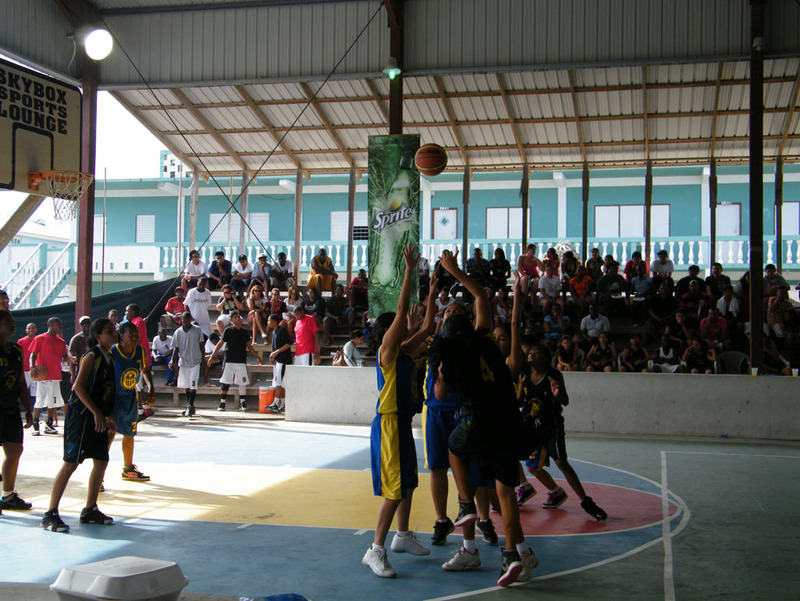 The second female game of the night saw Muffles defeating SHC in a score of 18-15 while in the last game of the night SPHS proved victorious over BCS in a score of 53-48. 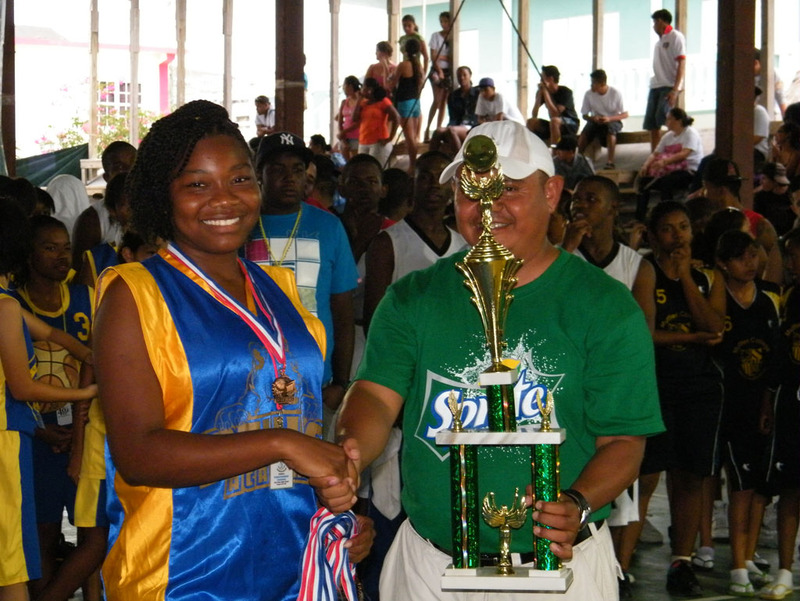 With the night’s games over, going up for third and fourth place in the female competition were SHC and Delille while SCA and Muffles would be squaring off for the championship and second place. 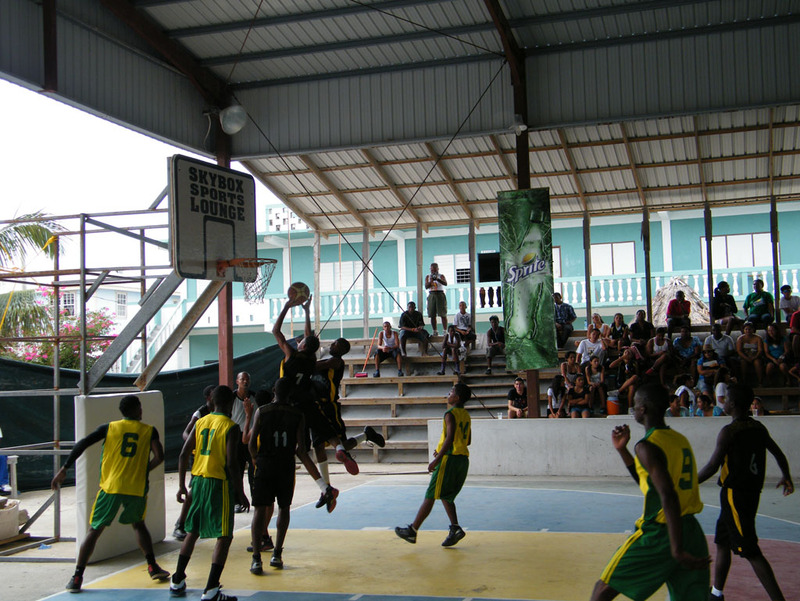 In the Male category, SCEC and BCS would be going up for third and fourth place and SVHS would be going up against SPHS for the first and second place. 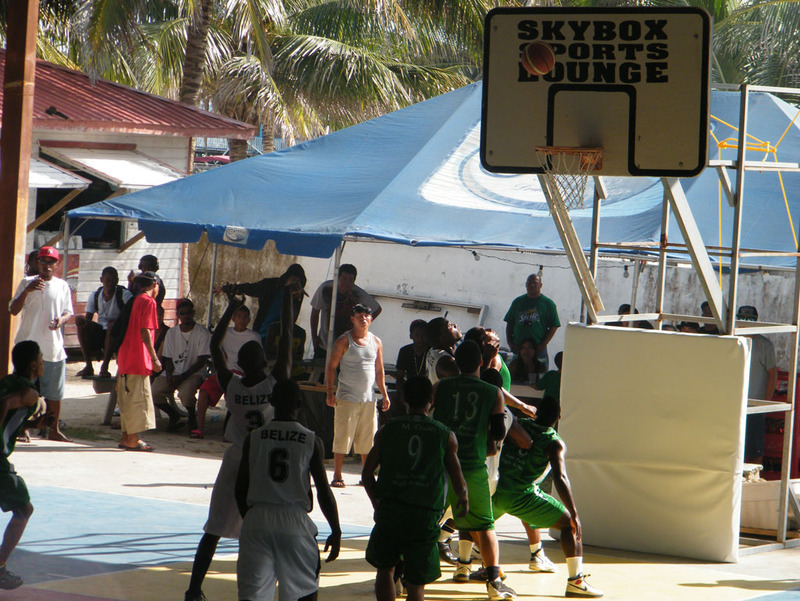 In a late morning on Sunday December 17th the championship games commenced. 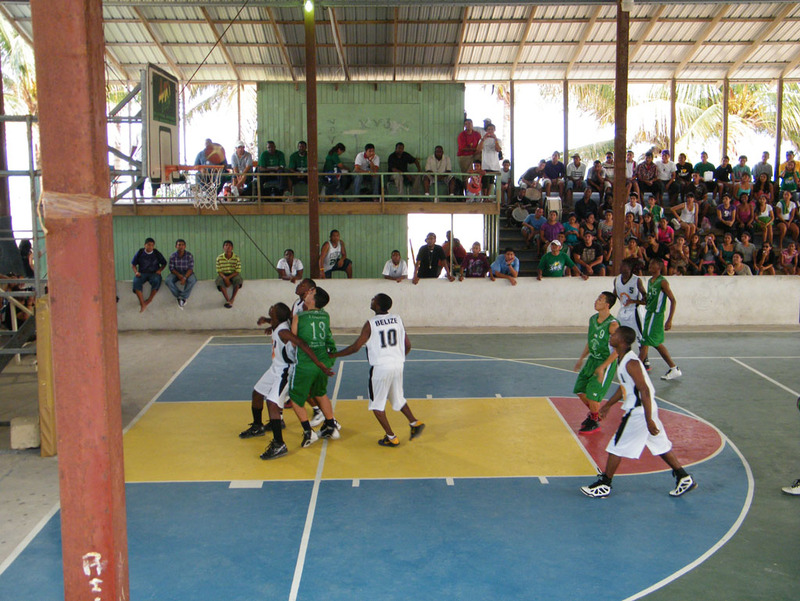 All four games were intense and kept the fans in a constant state of excitement. 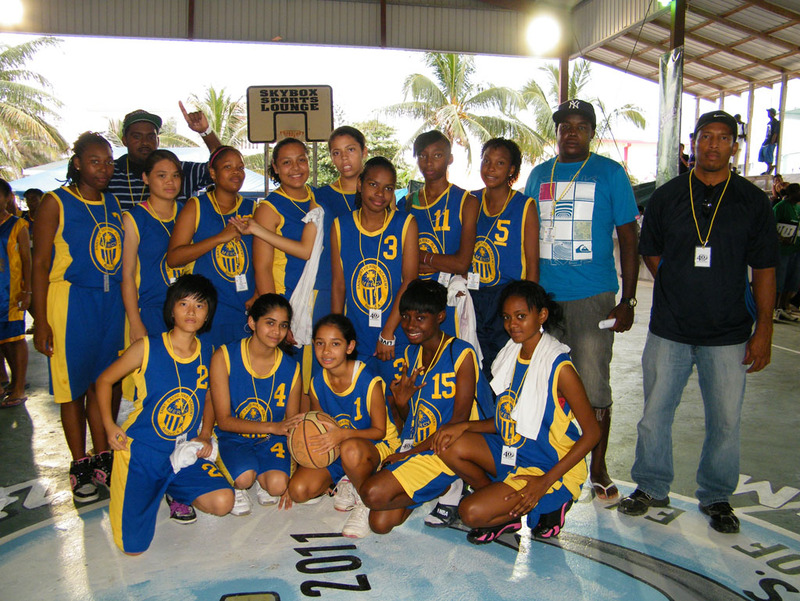 At the end of the games, the winners were as follows: for third and fourth place, DA defeated SHC in a score of 36-15 while in the championship games, SCA defeated MC with a score of 30-13. 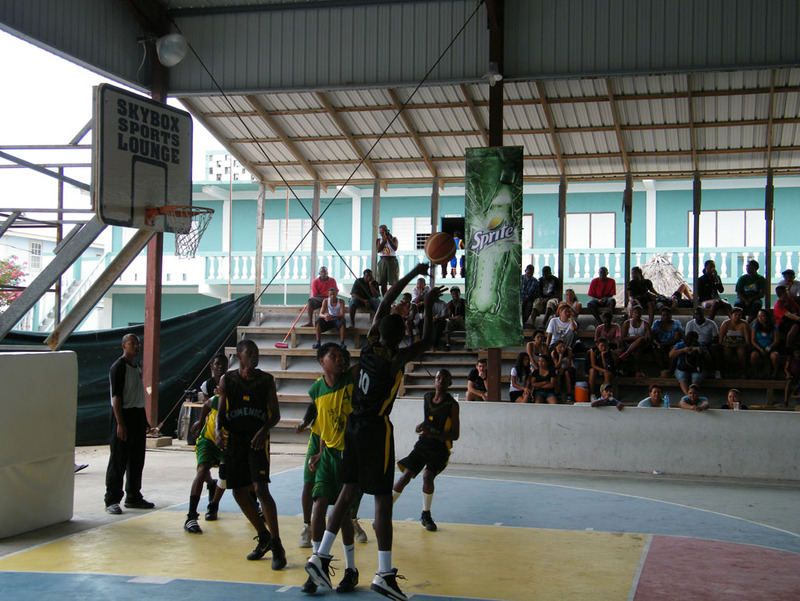 In the male category: for third and fourth place, BCS defeated SCEC with a score of 58-37 while for the championship game, SVHS defeated SPHS with a score of 82-68. 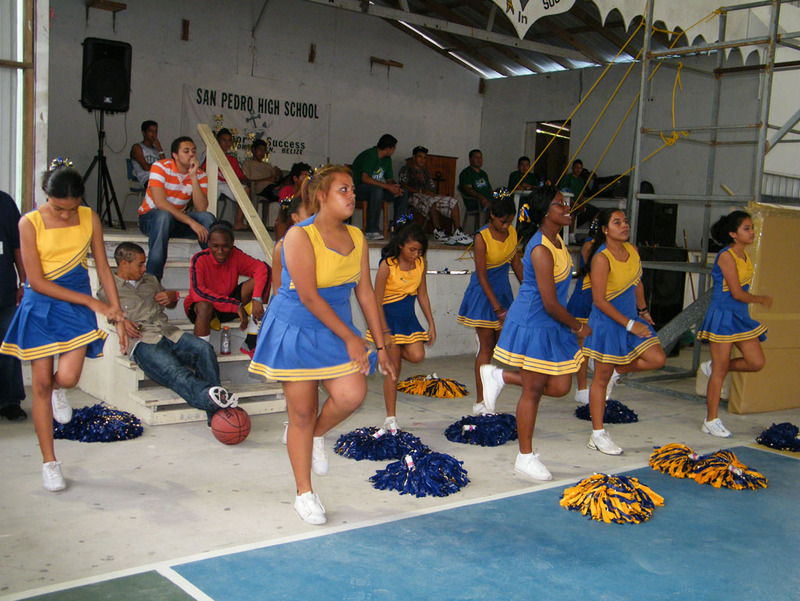 1st place: Sadie Vernon High School. 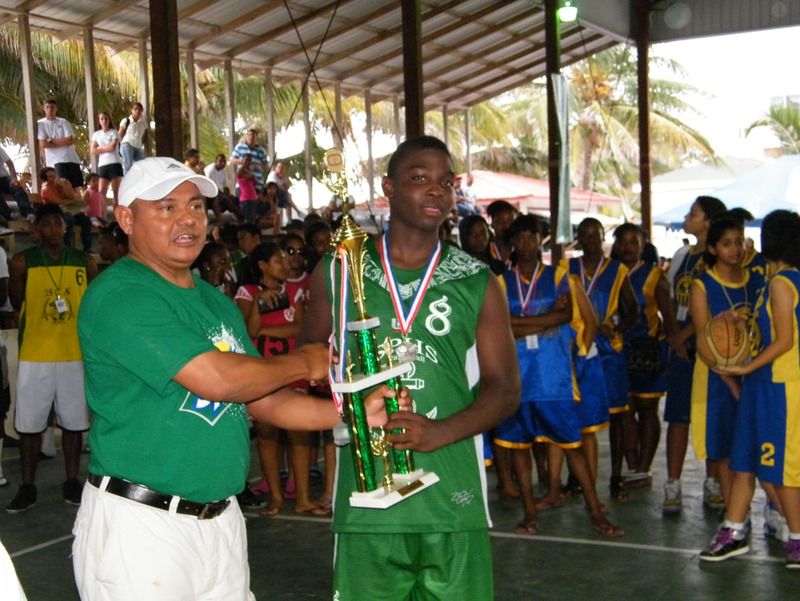 Selected for Most Valuable Players in the two categories are as follows: With 19 points, 11 rebounds and 3 steals was Miss Gilda Estrada of Saint Catherine’s Academy and in the male category; Andrew Ortiz, with 40pts and 28 rebounds of Sadie Vernon High School. 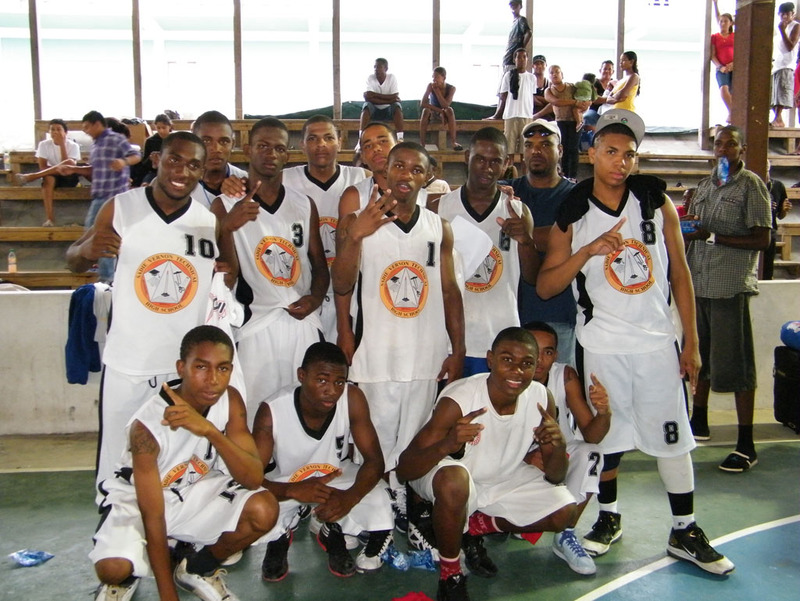 Congratulations to all the teams that competed.